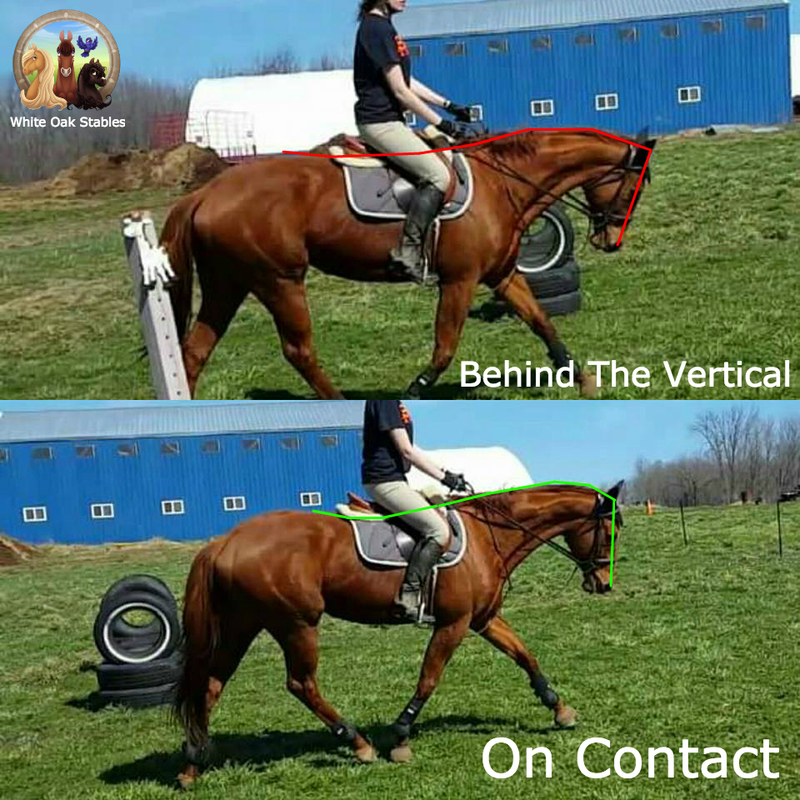 When you’re teaching your horse contact on the training scale riders often make the mistake of riding their horse behind the vertical, also known as rolkur. This happens when you pull your horse’s head down instead of pushing your horse up and into the bridle. Some riders make the opposite mistake and let their horses completely evade contact. It’s the horse’s responsibility to engage their hind end and seek the contact from your hands which is called being on contact or on the vertical. When your horse is on the vertical you can draw a straight line down from it’s ears to it’s nose and all the way to the ground. Imagine that your horse is a tube of toothpaste that’s not completely full. Do you squeeze the back of the tube to get the remaining toothpaste out or do you press down right by the cap where it opens? One action will result in getting a steady flow of toothpaste out while the other may give you some toothpaste but not with any kind of consistency before you cut off what remains at the back of the tube.